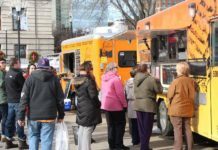 They’ve handed out burgers, sandwiches, wraps and tacos — and now one of the city’s food trucks will be handing out diplomas. 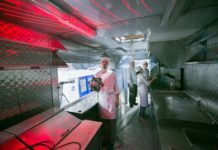 Camosun College has added a food truck to the curriculum of its culinary arts program and this spring will be slinging hash, grilling cheese and flipping students a side of life experience on their way to working in kitchens around the region. 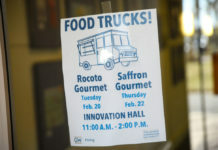 “The idea of a food truck has been in the cards for a few years now, and I just happened to be at the right place at the right time with the right person to get us to the point where the institution was prepared to put money on the table to make it happen,” said Steve Walker-Duncan, chairman of the culinary arts department at Camosun. 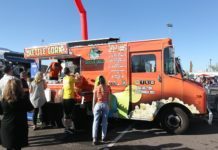 The school is treating it as an inter-disciplinary teaching opportunity, as the truck will pass through several departments before it serves food to students on campus. 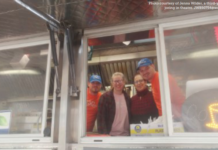 The automotive shop tested the second-hand food truck’s road worthiness and worked on the vehicle itself, as did pipe fitters, sheet-metal students, welders and electricians. 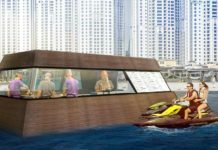 The group gutted what had been a rolling kitchen, used mainly for fish and chips in a past life, and installed a new one that will allow for a broader menu. Artists are designing the truck’s wrapping, while marketing and business students have put their hand in to develop a business plan. When the vehicle has been tuned up and modified, it will be handed to the students in the professional cooking courses. 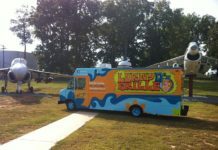 Walker-Duncan said the truck will form a regular part of the rotation for the school’s student chefs. 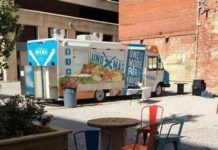 “We are creating a new learning platform with it, but we are not a commercial operator, we will not be going toe-to-toe with the city’s commercial food trucks,” he said. 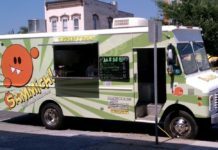 When it goes into service in the spring — they expect it will be ready in April — the truck will sell food to students at the Interurban and Lansdowne campuses, supplementing the cafeterias. 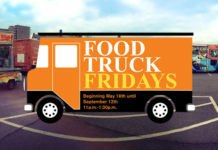 The truck will also be used to do outreach at high schools. 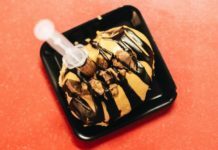 “Food is a great way of connecting. 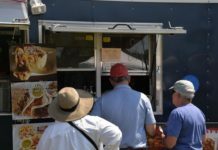 If you can’t get people’s attention when you’re handing out food, you’re doing it wrong,” said Walker-Duncan with a laugh. Camosun has already got the attention of the food services industry in Victoria, according to hospitality industry and human resources consultant Frank Bourree. “Camosun’s program is very well respected,” said the principal of Chemistry Consulting. 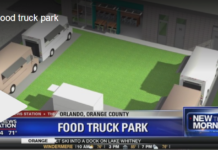 “They’re awesome and I would argue they could use more space for students, they’re maxed out right now.” Bourree said that’s unfortunate because the local restaurant scene is hungry for cooks and new kitchen talent. “We just can’t get enough,” he said. 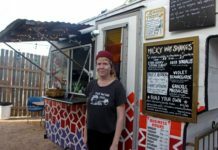 Walker-Duncan said that the shortage of skilled kitchen labour has a “kick-back effect” on the program, which has as many as 43 students enrolled at one time. “Employers can’t release anyone, they can’t let cooks go to come to school because they need them,” he said. Walker-Duncan said they are looking at ways of responding to the industry’s needs and trying to be more innovative in how they deliver courses. An example of that is the work to establish a partnership with the Songhees First Nation that will deliver on-site training — culinary, hospitality and tourism — and tailor it to meet the needs of the First Nation and the Aboriginal tourism industry. That new model is expected to be announced in the spring.